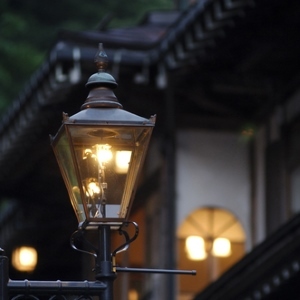 The play “Gaslight” might be fictional, but gaslighting is a destructive behavior pattern that many people experience throughout their lives. If anyone has ever dismissed your perceptions or convinced you to doubt your own memory, you’ve experienced this manipulative behavior. Learn how to break free from gaslighting and take control over your life again. If you’re wondering whether you’re experiencing the gaslight effect, it’s important to know that this doesn’t usually happen suddenly. Instead, it’s a series of manipulative behaviors that happen over time. By the time you realize a romantic partner, family member, or close friend is gaslighting you, it can be incredibly difficult to convince yourself that you’re no longer in control of your own reality. When you’re feeling so broken down, it’s not easy to trust yourself, which is how your manipulator can easily take control of the situation time and time again. You always feel like you’re too sensitive. You frequently apologize, even for the tiniest things. You feel like you should be happier, but you don’t know what’s holding you back. You struggle with even the simplest decisions. You regularly feel like you’re not good enough. When you first see a sign of gaslighting, such as when a partner or family member dismisses your memory of a situation or diminishes your choices, you’re bound to feel disbelief. It’s normal to give the other person the benefit of the doubt and simply write off the odd behavior as an isolated incident. Next, you’re likely to get defensive, especially when the other person sets the manipulation in motion. Instead of addressing the issue at hand, you’re too busy feeling overly sensitive or stressed out. Finally, you’ll feel like you’ve lost your energy, and you might even feel depressed about your misunderstanding and lack of control. What’s worse is that others may begin to notice and react to your sadness, which further deepens the feeling that something is wrong with you. If you get to this point, talking with an online psychic or another unbiased third party can be helpful. The first step toward breaking free from this oppressive feeling is understanding the signs and inner workings of the gaslight effect. Acknowledge how you feel, and have compassion for yourself. Next, try keeping a record of your interactions, experiences, and thoughts so you can document your reality. Start repairing your trust in yourself by paying close attention to how you feel and what you sense. Look for support from those you trust, and seek out those who have faith in your perceptions. A live psychic reading can help you express both your reality and your feelings. Whether you’ve experienced gaslighting once or twice or it’s a common theme throughout your life, it’s not too late to break free. You deserve to retain control over your life and trust yourself.